If you ask stores that sell cell-phone units what the most frustrating phone-related thing that never happened is, you’ll likely get ‘BlackBerry’ as an answer. It’s true that the once omnipresent brand failed to keep up with trends. Before, owning a BB phone says a lot about your status in life. If you had the Bold, Pearl or Storm model, you had swag. If you were using BBM, you were cool. But as more and more manufacturers released groundbreaking smartphones, BlackBerry slowly died a painful death. Today, BB phones are back, thanks to the BB KEY2. Much like most rebirths, a number of significant changes are evident in KEY2. For starters, the old BlackBerry OS no longer exists. In fact, the company doesn’t make phones by itself anymore. The latest model of the BlackBerry was manufactured by TCL, but it’s under the BB brand. The 2018 KEY model is powered by Android 8.1 Oreo. BlackBerry’s contributed several productivity apps and a few DTEK security software. Let’s get this out of the way so that old BB users won’t be disappointed: the Key2 is NOT the future of mobile phones. On the contrary, it’s a throwback to BB’s qwerty keyboards. Unlike most smartphones today that has all-screen keyboards, the KEY2 has physical, clickable keys. The actual keys are 20% bigger than the ones on the KeyOne released last year. They also have a Speed Key feature that lets you customize as much as 52 key actions from any menu. Another throwback feature that the KEY2 has is the durability of old BlackBerry phones. These days, 90% of all smartphones are delicate and glass-made. But not this 2018 BlackBerry model. Instead, it has a solid aluminum exterior with leather-like grip at the back. Unlike its predecessor, the KEY2 is sturdier and more reliable. Under the hood, the KEY2 has an upgraded chipset. Other notable features include a dual-lens camera, BB’s smart security and an improved BBM. Is It Something You’d Like? Without a doubt, the KEY2 is a much-improved version of the KeyOne. Arguably, the biggest drawback of the KEY2 is its design. For people who enjoy a wide display, the KEY2’s screen can be annoying. It’s not as wide as most smartphones today because the physical keyboard takes a lot of screen space. But for those who aren’t fussy about displays, this BB’s 4.5-inch LCD Screen (1620 x 1080) is adequate enough to enjoy watching videos, playing games and using apps. If you’re into big phones with delicate designs, then the KEY2 won’t be your cup of tea. But if you want something that will stand out from the rest, this 2018 model is just the right device for you. They KEY2 does everything differently. It marches to the beat of its own drum. It has new camera tricks. Even the video playback is different from other smartphones. 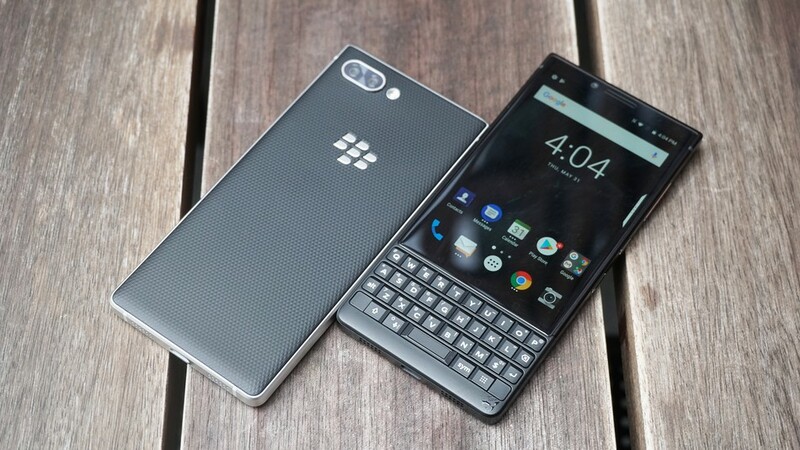 BlackBerry Key2 was launched last June. It’s already available for pre-order in the US, UK and other regions via TLC. In the US, the starting price of the KEY2 is $649. The world stands at the dawn of the latest mobile technology revolution: the 5G. This change offers a significant upgrade in speed and data capacity. At the same time, it puts forward a decrease in latency compared to its predecessors. For key players who belong in the ever-evolving industry that sells cell-phones, laptops, and other mobile gadgets, major mobile providers and wireless carriers couldn’t be happier about the new advancement and are now preparing for the full rollout of the 5G. Wireless network and telecommunications companies like AT&T, T-Mobile, Sprint, Verizon, and Charter have already shown plans on adapting to 5G to further the capabilities of their services. It is also key to note that Intel and NTT Docomo—the Japanese telecom operator—are partnering up for the upcoming 2020 Olympics to maximize 5G technology, from video capture to even virtual reality technology. It is undeniable that the world’s telecom giants are already setting the foundation to create a better experience for their customers as well as for the general public. As this new wireless revolution rolls out, here are the things you must know about 5G. 5G (or fifth generation) is the latest wireless revolution about to happen to the world. It is a total game changer in the mobile technology industry. 5G aims to provide faster speeds and better responsiveness to wireless networks. Read: Internet connections will be quicker, links among network systems will be more rapid, and the age of information technology may be headed toward even greater heights. One of the main reasons why there is a demand for 5G is the rising need for higher bandwidth. Bandwidth is the rate of data transfer, whether uploaded or downloaded, using a network in a particular time span. It is expected that 5G, at a minimum, can provide 100 Mb/s, which is far more superior than 4G’s average download speed of 10 Mb/s. Latency refers to the delay that a system component experiences when performing a specific action. With 5G, it is expected that this part of the process will be expedited in more ways than one. 5G data transmission is said to reach as high as 20 Gbps and have a latency of 1ms or lower. These numbers only come down to one thing: real-time feedback. From the user’s viewpoint, latency is currently mostly felt when responses lag. This significant change will benefit various sectors of the industry. Case in point: the gaming segment. For both casual and competitive video gamers, low latency is highly critical to have an optimized gaming experience. A player’s performance is directly affected when there is a delay in receiving the information from the game. 5G is expected to answer this concern and turn it into a thing of the past. 5G Has Greater Connectivity Capabilities. With higher speed, higher bandwidth, and lower latency, the complexion of the tech industry and the world outside of it evolves and becomes interesting. 5G networks will allow you to connect more devices to the Internet simultaneously without any bandwidth problems. Currently, service providers provide limited bandwidth for consumers’ Internet connection. 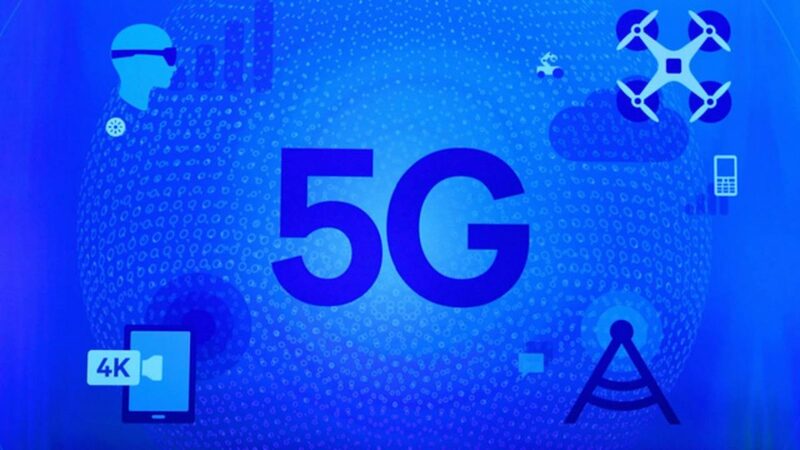 Additionally, as the tech hardware advances—and this includes mobile phones, personal computers, and more—it is evident that more and more users are seeing the merit of having 5G connection. So far, there are no concrete reports on when the full implementation of 5G will happen. But the future is looking quite bright with this game-changing tech on the horizon. Author Claudia M.Posted on September 25, 2018 September 25, 2018 Categories Product ReviewsLeave a comment on What Exactly Is 5G? The world is always on the lookout and in search of the latest trending gadgets. 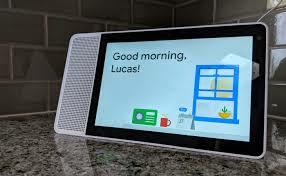 With the tech industry always trying to make life easier, we are all gushing over this new and stylish home-control system in the market—the Lenovo Smart Display. Its new look and design is at the top of the list of why Lenovo Smart Display stands out. It has this sleek and minimalistic look that easily blends in with your other house items. It actually looks like a tablet, supported by a stylish case. It has two variants, an 8-inch and a 10-inch model. Both have white trims with different back finishes. The 8-inch is more conservative with its soft-gray finish while the latter has a bamboo-textured finish on it, making it stand out even more. Now the new look was designed as such not only for aesthetic value. Its quirky and unique frame gives some extra space for its speaker. This also allows it to stand and work both vertically and horizontally. Simply put, this design is not only beautiful but also functional. It has the ability to synch all your smart home appliances. By simply saying “Hey Google” and giving a command, you can control everything in your home. From your cameras to your home’s temperature, you can control everything with this gadget. With high definition screens on both models, videos are clear and vivid. When connected to Nest Cam, the bigger screen definitely makes images look better and clearer compared to its competitors. In addition, the voice assistant feature makes it the ultimate kitchen help you would need. This gadget is ideal for people who want to follow recipes through YouTube videos. The video and the voice assistant features combined makes following steps easier, compared to older versions of home-control systems. Unfortunately, this device does not have the best audio prowess, as it was not specifically designed to wow us with its sound quality. Although, it is fair to say that the sound quality could be rated good enough. When the sounds are also amped up, it could be a little hard to chat and give commands with the device. However, this is quickly resolved when the volume is turned down. This device also gets additional points for having very good voice recognition. It is super sensitive that it will recognize its owner’s voice even with a whisper. This new gadget is already out in the market. You can find it on the shelves of stores that sell cell-phones, tablets, and other gadgets, with July 27 as its release date. The smaller version is priced at $199, while the 10-inch model’s rate is $249. Its price range is close to its competitors’ selling price. The Lenovo Smart Display’s elegant new look and voice assistant feature make it a winning home-control gadget. Its price rate and its clever features make it hard for you not to want this device as a part of your home. iPhone X vs. Galaxy S9: Which Is the Better Camera Phone? Year after year, the same thing happens: Apple versus Samsung, the iPhone versus the Galaxy. 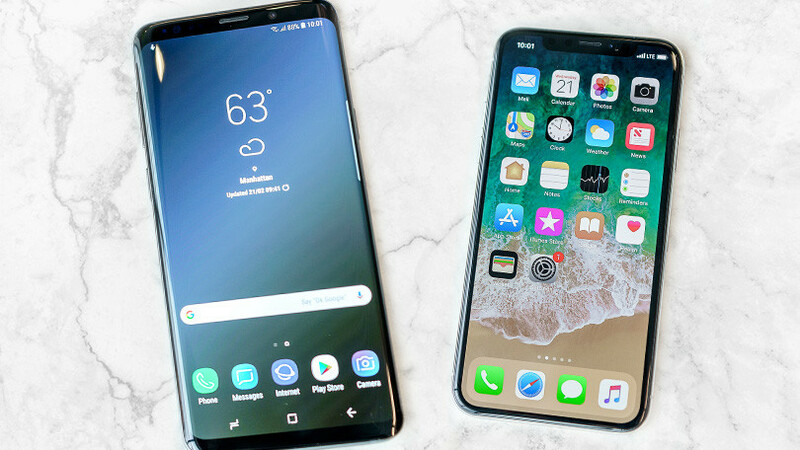 The latest version of this battle is the iPhone X versus the Galaxy S9. Stores that sell cell-phone units are often asked about these premium smartphones. In particular, their camera features. Let’s look at some of the vital camera features of the iPhone X and the Galaxy S9. The iPhone X has dual rear cameras. Like the past iPhone generations, the iPhone X has a fixed aperture. The rear camera delivers 7-megapixel still photos and 1080p video recordings. For its front-facing cam, the iPhone X presents the advanced TrueDepth camera. This feature offers special sensors that take the selfie camera to the next level. The Galaxy S9 camera, on the other hand, is one of the first Galaxy units to offer a variable aperture. Therefore, it can adjust to different lighting conditions without losing sharpness. The S9 camera can also take very slow slow-motion videos. Using automatic settings, and with ideal lighting conditions, both phones are at the top of their game, though you’ll see minor variances in terms of texture and temperature. The iPhone X tends to produce photos with cooler hues. The S9 often produces photos with warmer tones. Video recording on both phones at 1080p at 60 fps, the distinctions are also minimal and subdued. The S9 tends to generate more contrast and saturation. This makes the video stills look sharper and, sometimes, darker. On the flip side, the videos recorded on the iPhone X are brighter. As such, they look softer. In terms of the shadows, both provide marginal harshness, but also minimal depth. The two phones have optical image stabilization to their respective lenses. When tracking shots, the iPhone X produces steadier shots. However, the S9 provides smoother transitions via lighting changes. The aperture of the iPhone X is set at f/1.8. To adapt to various lighting conditions, the camera relies on image processing and shutter speed. Images shot with the iPhone X always look wonderful. However, because it has fewer aperture selections, there is a consistent look throughout the photos. The Galaxy S9 camera has an adjustable aperture. As such, the lens can be adjusted based on the lighting conditions. The process imitates how the pupil in the human eye works. In the dark, the variable aperture widens to filter in more light. In a bright setting, the aperture becomes narrower. Both smartphones provide a blurred background effect on their selfie cams. The iPhone X front-facing camera is slightly superior. The TrueDepth is a 7-megapixel, sensor-packed camera. As such, it’s much better at determining what elements to blur in the background. The S9 features a bit sharper sensor (8 megapixels) with a broader angle. But when it comes to the portrait effect, both phones use a software. That means neither is as great as the images produced by their respective rear cameras. Both the iPhone X and the Galaxy S9 cameras have their strengths and weaknesses. The S9 is a great camera phone if you wish to take your phone photography one step further. But you still need to put in some work to get better-looking shots. Alternatively, the iPhone X camera is a lot more consistent. It also does virtually all the work for you. And as with many of these “battles,” it all comes down to what you need from a camera phone. Author Claudia M.Posted on September 17, 2018 September 17, 2018 Categories Product ReviewsLeave a comment on iPhone X vs. Galaxy S9: Which Is the Better Camera Phone? The OnePlus 6 is now available in stores that sell cell-phone units and accessories. It was officially launched a few weeks ago. Even with the large number of spoilers leading up to the grand unveiling, the new OnePlus flagship still offers a few surprises, one of which is OnePlus 6 in red. Just a few months following the release of the OnePlus 5T, the company unveiled a red edition of the smartphone. The same is expected for the 2018 OnePlus model. After its launch, Marques Brownlee, a famous tech YouTuber, posted a photo of two OnePlus 6 phones. One has a black rear and another, just peeking out, has hints of red. When the photos surfaced online, experts surmised that the company has taken a leaf from Apple’s playbook. And just a few days later, OnePlus confirmed that a red edition of their new smartphone would soon be available. The Lava Red OnePlus 6 features a shiny crimson finish with silver accents. If red isn’t your color, OnePlus offers a variety of colors for its newest device. The OnePlus 6 is available in Midnight Black, Mirror Black, and Silk White. The dark-colored variants are the standard colors available for the phone. The white variant is a limited edition. The Lava Red variant is a special edition. As such, the OnePlus 6 is outfitted with the latest edition of Snapdragon CPU, the 845. The processor chip is paired with an Adreno 630 graphics card. The phone also has 8GB of RAM. The company guarantees a 30% boost in overall performance compared to the phone’s predecessor. The OnePlus 6 also delivers a 10% upsurge in battery efficiency. The new flagship unit is 6.28 inches. It’s the biggest OnePlus smartphone yet. It has a full Optic AMOLED, high-resolution (2280 x 1080) display. The OnePlus 6 is also the company’s first handheld device to be completely covered in glass. The smartphone is spruced up with a layer of Gorilla Glass 5. And because it uses a new foam sealant and silicon, the OnePlus 6 provides a much-improved water-resistance. So even if you accidentally drop it in water, the phone won’t be damaged. In terms of software, OnePlus’ flagship device is powered by Android Oreo. It has gesture controls and delivers the latest version of the firm’s Gaming Mode. The phone also supports Face Unlock. In addition, the OnePlus 6 comes with a 3.5mm headphone jack and a USB-C port for fast charging. 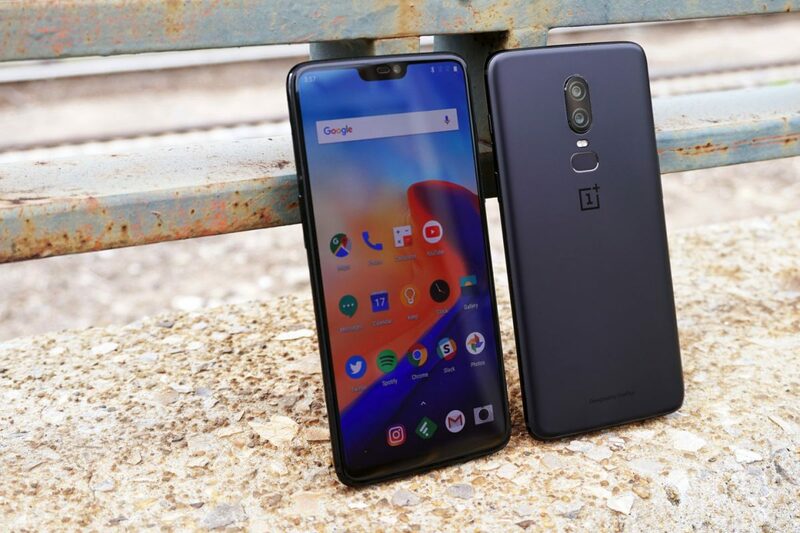 It also features Cat 16 network support, which makes the device the first OnePlus smartphone to enable Gigabit download speeds. 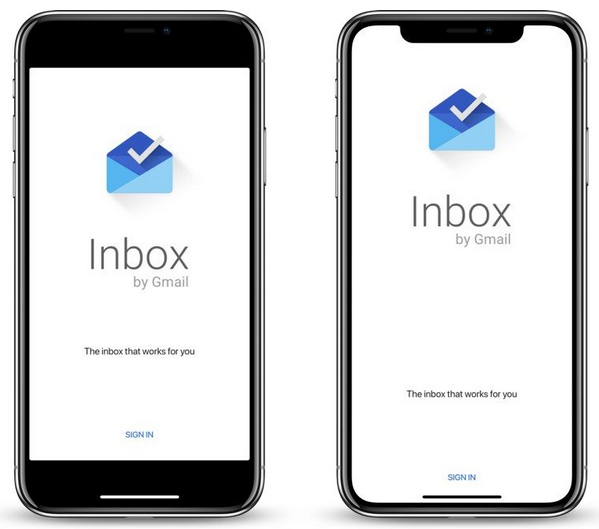 Nine months after the iPhone X release, Google has finally made its Inbox app compatible with Apple’s flagship phone. Last April, Google announced that an update for the iOS version of the app was underway. Though it took a few more months, the search engine giant has finally fulfilled its promise. Ask anyone, even the stores that sell iPhone units, and they’d tell you that it had been a long wait. For iPhone X users, this upgrade means there will no longer be unsightly black bars on the top and bottom parts of their phone. Highlight important messages. The app notes the most important details of the email without fully opening it. A pop-up preview appears to let you know the gist of the email. Bundle messages. With the Inbox, you can group similar messages together so that you can take care of them all at once. You can also delete the bundled emails with a single swipe. Stay alert. The app reminds you about emails you need to get back to. You can also manually add a Reminders section to your inbox. Snooze. Inbox by Gmail enables you to snooze messages that aren’t a priority. You can pencil them into your schedule whenever you want. Search. The app helps you find whatever you’re looking for fast and easy. You don’t have to dig through your emails to get the information you need. All you have to do is search for it. Access Gmail. Because Google built the app, it works well with Gmail. All your Gmail messages are easily accessible from the Inbox. MacRumors recently reported that Inbox by Gmail has already gone through 13 updates. It’s only now that the development has focused on providing support for the iPhone X notch. In fact, the Inbox app is among the last Google apps to be fully compatible with Apple’s latest phone. Most iOS and Android apps upgraded early this year. Since the release of the iPhone X, most iOS apps have gradually adapted their designs to accommodate the smartphone’s notch. Developers can’t evade the transition since it’s now a prerequisite demanded by Apple. The company issued a statement that by July 2018, all iOS app updates must support the iPhone X.
Apple also noted that all updates submitted to the App Store have to be developed with the iOS 11 SDK. Furthermore, the apps must support iPhone X’s Super Retina display. As such, developers need to ensure that their respective apps already support the notch before releasing an update. Otherwise, the app may never be kept up to date. If you’re an iPhone X user, this directive is certainly good news. You’ll have more apps that are fully compatible with your premium phone. The Samsung Galaxy Note 9, codenamed the Crown, is almost here. Samsung continues to use the Note series to produce bigger and more powerful phones to complement the Galaxy S line. Based on numerous reports online, the 2018 Note model follows the same template. The Galaxy Note 9 will be officially launched on August 9 at the Samsung Unpacked event in Brooklyn, New York. At the moment, this is the only timetable given by Samsung. With regards to when the smartphone will actually be available for purchase, it is estimated to go on sale in late August. Pre-orders are expected to be available on the day of the launch or soon after. 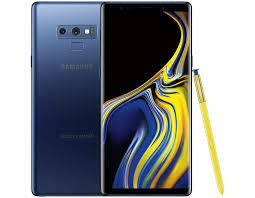 The Note 9 is said to look like the Galaxy S phones launched early this year, with a number of improvements here and there. Multiple reports posted several weeks ago revealed that there will be two versions of the Note 9. One will be powered by the Exynos 9710 chip, the other by the Snapdragon 845. The availability of the two versions will depend on the region or country you live in. Last March, a speed test of the Note 9 surfaced online. The test revealed that the Note 9 will be a bit slower than the Galaxy S9, but a lot faster than the Galaxy S9 Plus. As for the display, the Note 9 could have the same screen size seen on the 6.3-inch Note 8. Minor camera upgrades from the previous Note line-up are also expected. As per reports, the Galaxy Note 9 will run on Android 8.0 Oreo with a few tweaks. It’s also expected that the software will soon be updated to Android P. The phone will also likely boast an improved notification setting and battery optimizations. What’s guaranteed is that the Note 9 will come with a stylus, a signature feature of the Note series. Arguably the most hyped rumor about the Galaxy Note 9 is its fingerprint scanner. Several leaks show that the sensor could be incorporated directly into the phone’s screen. Multiple reports also indicate that Samsung has already executed multiple in-screen assessments. These tests are potentially about the plan to give the Note 9 a larger battery. The tests bode well with the rumor that the newest Note unit will not just have an in-screen scanner, but also a huge 3850mAh battery. Then again, there are also reports saying that an in-screen fingerprint sensor won’t be seen on the Note 9. 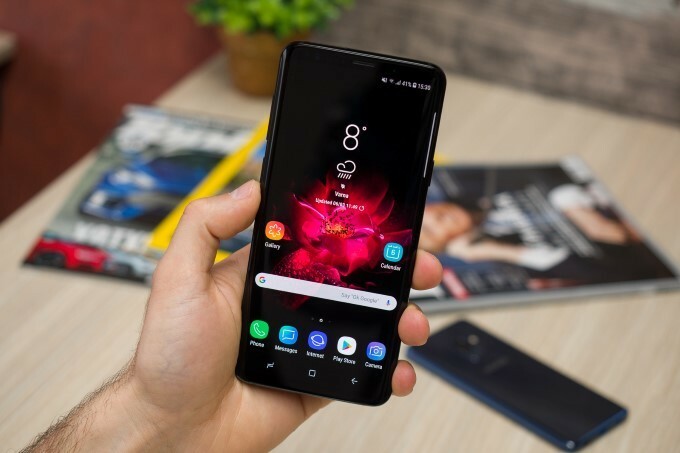 According to some tech analysts, the feature is meant for the Galaxy X (or S10) next year. Reports about the in-screen sensor have been around for quite a while now for both Samsung and Apple. But both tech companies have failed to present the feature in time with their most recent devices. In fact, Apple completely ditched the plan for the iPhone X. Samsung, on the other hand, moved the scanner to its “future feature” checklist. Stores that sell cell-phone units expect the Galaxy Note 9’s price range to start at $929. When it comes to Apple releases, there is no lack of rumors and speculations. As the expected fall release approaches, more reports are added to the ever-growing pile of spec possibilities. This time around, the buzz is all about colors. It appears that Apple plans to present a more colorful iPhone lineup by the end of the year. Ming-Chi Kuo, a reputable tech analyst, recently reported that the iPhone lineup will have new color variants. According to Kuo, the entry-level unit will be available in five different colors. Now, if you haven’t heard yet, Apple is rumored to be launching three different models this year: two have an OLED screen (a 5.8-inch and a 6.5-inch unit), one has an LDC screen (a 6.1-inch unit). The 6.5-inch iPhone will be available in black, gold, and white. The 6.1-inch iPhone will be available in a variety of colors that include gray, blue, red, orange, and white. It should be noted that the gray and white variants may be in reference to Space Gray and Silver, two colors that the company has utilized repeatedly in the past. Interestingly, the gold variant of the iPhone 8 is missing from the report. Kuo also claims that the 6.1-inch LCD iPhone, which is expected to cost around $700, will feature a Face ID scanner. The phone will apparently look like the iPhone X from the front. However, there are still no solid reports on how it will look from the back. Stores that sell iPhone units find Kuo’s predictions intriguing. This is particularly in reference to the new colors of the iPhone. The iPhone 8 and 8 Plus units are available in a couple of colors, but primarily in red. The color variants of the iPhone X are gray and silver. Red-colored iPhones are not unheard of. The crimson color scheme is available for the company’s PRODUCT (RED) units, which are usually released a few months after Apple rolls out the new phones. But except for the iPhone 5C, Apple doesn’t normally go for vibrant colors like orange and blue for its handheld devices. Further than the variety of colors for the iPhone lineup, rumors are flying about the specs of each unit. The 6.5-inch phone is likely to add the same face-detecting features seen on other iPhone series. It’s also predicted to have the capacity to run two SIM cards at the same time. Yet another prediction is that the company could possibly add a third lens to its camera. Now, although the LCD iPhone will have more color options, it’s likely to be missing a few premium features. This is the main reason why the predicted price of the phone is relatively cheap. The device may come without the dual camera and stainless-steel frame. All are expected to be uncovered in the latter part of the year. Apple typically unveils their new products during fall. The tech company is also expected to release upgrades for its tablets and smartwatches. A lot of stores that sell cell-phone units are asked about unlocked smartphones, and for good reason. An unlocked smartphone could be used on various networks. That means if you want to switch carriers, all you have to do is change your SIM card. You’re not exclusively tied to a service provider. If you have an unlocked phone, you don’t have to wait for your contract to expire if you want to sell or trade up your device. The Galaxy S9+ isn’t tagged as Samsung’s “best-ever-selling smartphone” for nothing. The S9+ delivers top-end specs and features, and its hardware isn’t too shabby either. It has several connectivity ports, a headphone jack, a wireless charging port, and SD card slots. The Galaxy S9+ is also waterproof. This year, Samsung’s flagship phone sports a new camera. It now has a sensor that enables professional-grade processing. It can easily get rid of noise and touch up fine details. It also sports a dual-aperture lens that is great if you want to combine light and detail in a variety of shots. If you find the software of the Galaxy S9+ to be too complex or tiresome, go for the Google Pixel 2 XL. This nifty device is a crowd favorite for its clean, fast, and satisfying performance. As expected, the smartphone is integrated with apps and services from Google. It has pretty impressive software with a guaranteed three years’ worth of updates. The camera features of the Pixel 2 XL are also top-notch. Overall, the Google flagship phone provides a more consistent and user-friendly service. Both the Samsung Galaxy S9+ and the Google Pixel 2 XL are quite expensive, even if you buy them unlocked. If you want to get nearly the same experience but prefer an option that won’t break the bank, go for the OnePlus 6. For just around $500, this smartphone features the latest specs wrapped up in a neat design. The software experience you get from the OnePlus 6 is similar to that of the Pixel 2 XL. Its camera features are not to be sneezed at as well. The only drawbacks are the average-looking display and the basic speaker. Honor 7X is yet another cost-effective handset with more-than-decent specs. One of its best features is its 5.93-inch 1080p screen. Its display provides HD video and photo quality with an 18:9 aspect ratio. The smartphone is powered by Huawei’s Kirin 659 Octa-Core chip. That means you can run multiple apps at the same time without any problem. Ever since the company started releasing Android phones, Nokia has become a favorite among those with a restricted budget. You can get an unlocked Nokia 2 for just $97. It’s one of the best smartphones in its price range. Yes, the Nokia 2 doesn’t have the premium specs you can get from the other phones on the list. However, it has a solid 4100mAh battery that can run all day. To get an unlocked phone, you generally must pay the full price upfront. But shop around first. Some service providers offer special payment plans for unlocked phones. Which Is the Better iPhone: The X or the 8 Plus? For the first time ever, Apple has introduced two distinct flagship phones. On the one hand, you have the iPhone 8 line-up. The iPhone 8 and 8 Plus sport a similar form factor to that of older generations of Apple phones. On the other, you have the powerful iPhone X, which has advanced features that no other smartphone possesses. Stores that sell iPhone units are often asked about the similarities and differences of these two flagships. In a nutshell, the iPhone X and the iPhone 8 Plus are quite similar. But they also have some key differences. Let’s look at how similar—and different—these two premium phones are. The iPhone 8 Plus is the bigger phone. But when measured diagonally, the display of the iPhone X is larger. The main distinction between the two iPhones is the display. The display of the iPhone 8 Plus is 5.5 inches. It has a plus-size, full HD (1920×1080) LCD. It features the same Retina display seen on previous iPhone generations. The iPhone X display is 5.8 inches. It has a cutting-edge, HD (2436×1125) OLED display. It also has a greater contrast ratio. As such, this “Super Retina” can support HDR videos. Both iPhone models use the same processor chip: the six-core, 64-bit A11 Bionic with an integrated M11 motion co-processor. They also use the same sensory motor that triggers AI processing. Both smartphones support Qi wireless charging. In their respective boxes, you’ll see a standard Lightning cable as well as a USB power charger. But these iPhones are capable of fast charging too. You just have to buy a USB-C power adapter and a USB-C to Lightning cable from Apple. If the battery is a top priority, the iPhone 8 Plus delivers a slightly longer battery life. In terms of rear cameras, the iPhone 8 Plus and the iPhone X have the same dual-lens rear camera. They also have similar features for video recording. For their front-facing cameras, the differences are specific. The iPhone 8 Plus sports the traditional, yet much improved, FaceTime camera. It can take 7-megapixel still shots with an f/2.2 aperture. It delivers 1080p video recordings. It provides a wide gamut of colors for taking pictures and Live Photos. It also has a Retina flash. The iPhone X front-facing camera has all these features and more. Apple calls it the TrueDepth camera. This front camera has special sensors that help with facial recognition. These include an infrared camera, a proximity sensor, a dot projector, and a flood illuminator. The TrueDepth camera also supports Portrait mode and Portrait Lighting (beta). Because the iPhone X is all screen, it doesn’t have a Home button. As such, Touch ID is also out of the picture. Instead, Apple presents Face ID so you can unlock the phone. The feature is also used to authorize payments via Apple Pay. On the other hand, the iPhone 8 Plus still uses the Touch ID. Unsurprisingly, the iPhone X costs more than the iPhone 8 Plus. The starting price of the iPhone X is $1000 while the iPhone 8 Plus starts at $800. So, which is the better iPhone? It’s hard to pick a clear winner. Both flagships provide top-notch features and a first-rate user experience. You can’t go wrong with either phone. In the end, it’ll come down to which specs or features you want more. 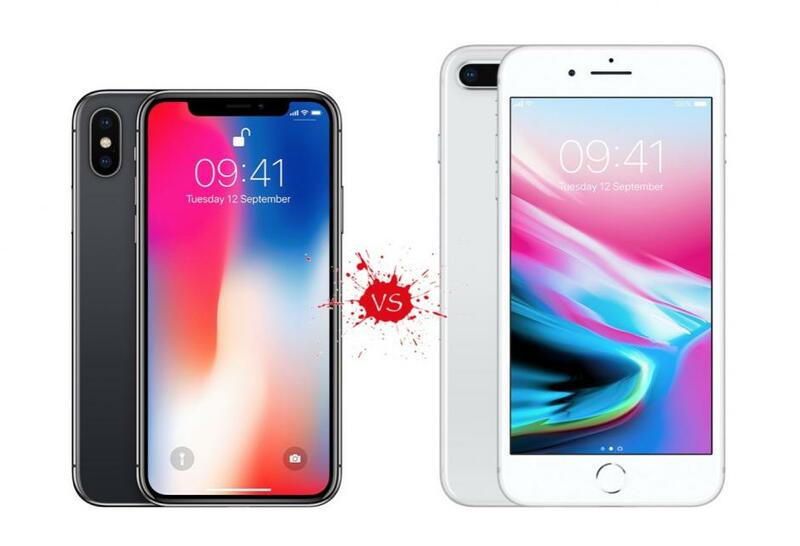 Author Claudia M.Posted on September 5, 2018 Categories Product ReviewsLeave a comment on Which Is the Better iPhone: The X or the 8 Plus?